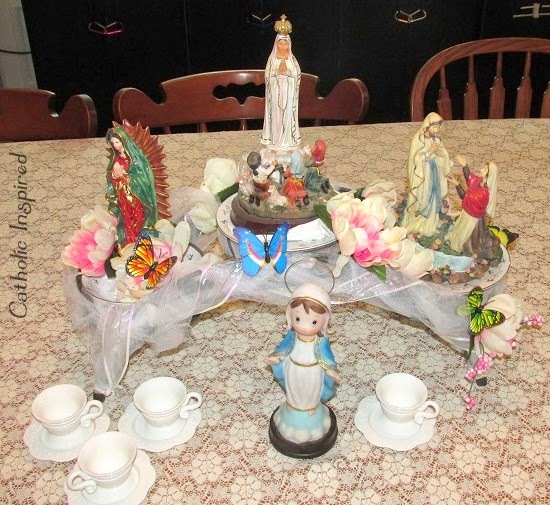 Here is our Mary-May Altar this year. 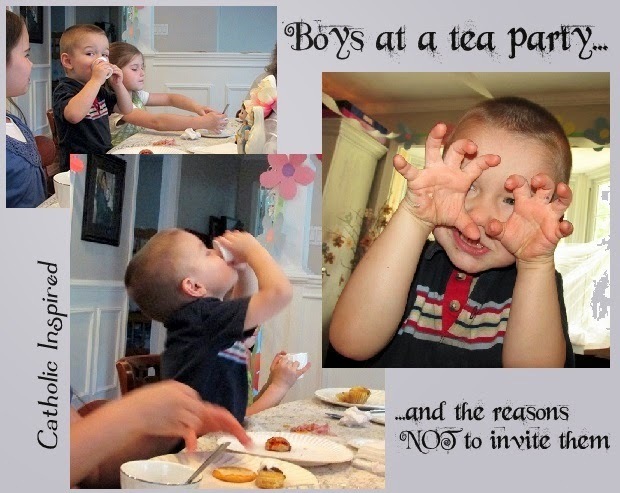 I posted about our Marian Tea Party invitations and decorations a few weeks ago and here are some photos of this years party. 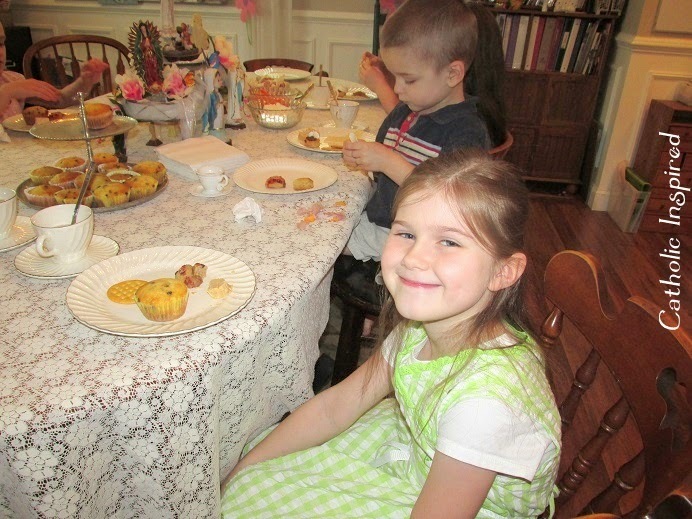 Of course our Marian Tea Party was beautiful and the girls LOVED it, again! Our Ladybug Cookies In honor of Our Lady's Bug! 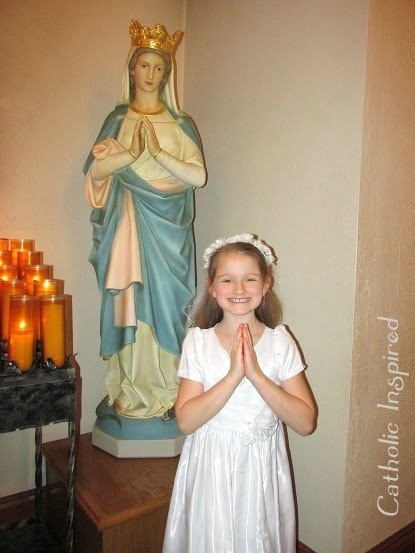 Here is Miss Hannah after her First Communion - So excited! Six kids down and 3 to go! 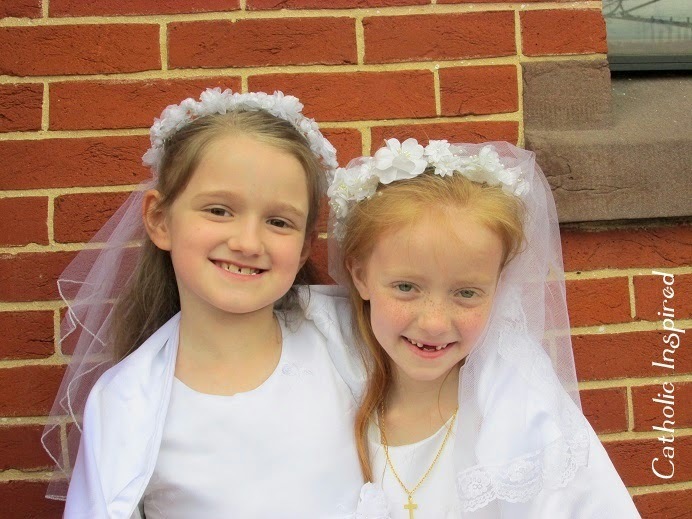 Abigail will have her First Communion next year! This is my daughter Hannah with my niece. They shared the special day! After the The First Communion Mass we celebrated with a Special cake. Click Here to see how we made it! 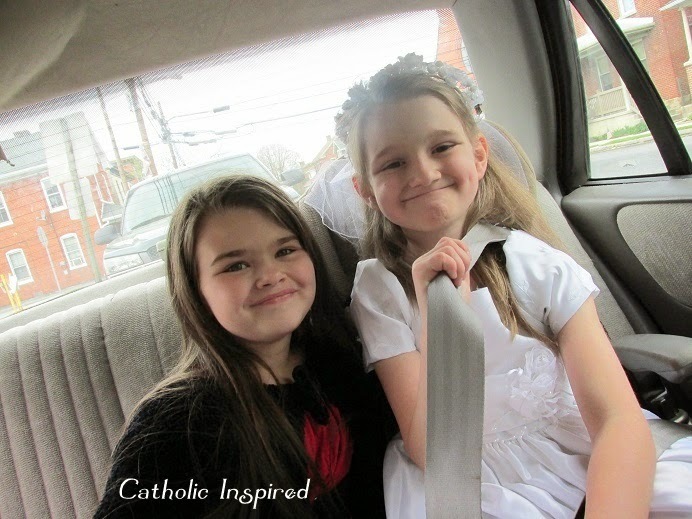 The First Communicants had to be at church early, so I took Hannah and Elizabeth in the car. My husband, Jon, brought the rest of the family later. I had to laugh at the way Elizabeth helped Hannah get into the car and get buckled-up. Then Elizabeth helped her out of the car and into church. She was being very protective of Hannah's veil and white dress. The way she treated her was just like a bride's maid would treat a bride! Well, Hannah was the bride of Christ, so I figured Elizabeth was the volunteer bride's maid! Too, CUTE! After trying a few other options with no success, I decided to take the advice of my OB and get a shot that shuts off my ovary for a few months. It creates a temporary menopause as it stops my ovary from producing estrogen in the hopes that it will shrink the Endo. I received the first of 3 shots 3 weeks ago. So far I've seen no change, but the doctor said it could take a month before I would see any change. 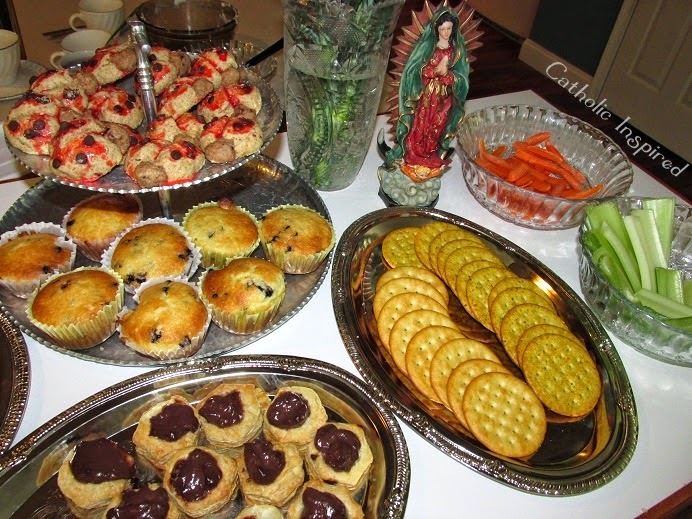 I'm trying to eat as healthy as I can (aside from the tea party treats! ), and warmer weather always seems to help my condition. So I'm LOVING the warmer spring sun! I want to thank every one for your kindness and prayers. I know God is helping me through this and I'm finding peace with everything. Please pray the shots do as the doctor and I hope. If they don't I feel I may need to have my last ovary taken out in the fall. But if the shots do work I should be well enough to hold off on a surgery for a year or more. I hope, for the sake of my children and husband, that God will give me all I need, whether it be in health or peace or both. Today I'm joining Conversion Diary's 7 Quick Takes. Tracy, you are so kind! Thank you for such a sweet comment and a BIG THANK you for the prayers! I'm looking forward to seeing your young lady's FC pics next year! 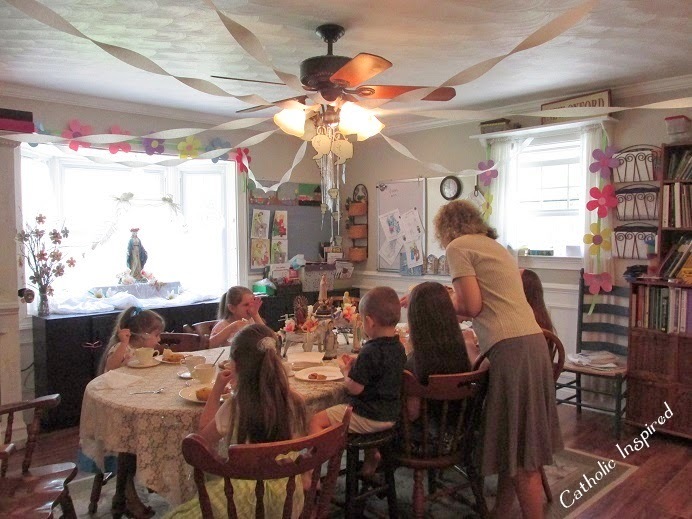 Looks like a beautiful tea party. 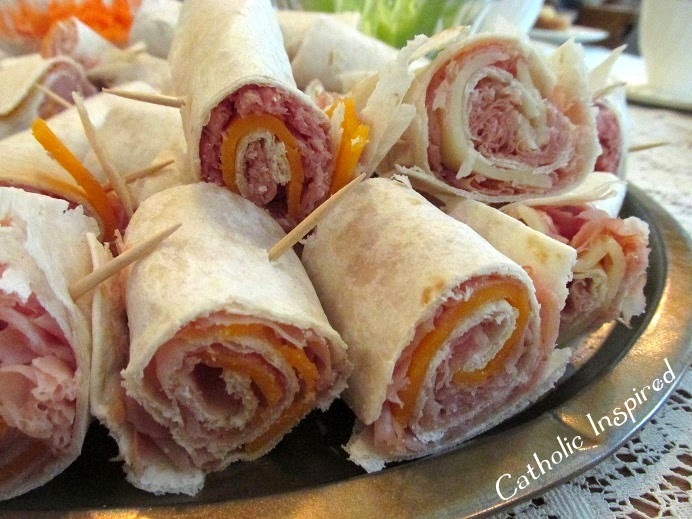 Congrats on your daughter's 1st Communion. My daughter made hers this year too!!. Continued prayers for improved health. Thank you, Jill. I saw your daughter's FC pictures! She's beautiful!! Thank you so much for the prayers! Your party looks so lovely. 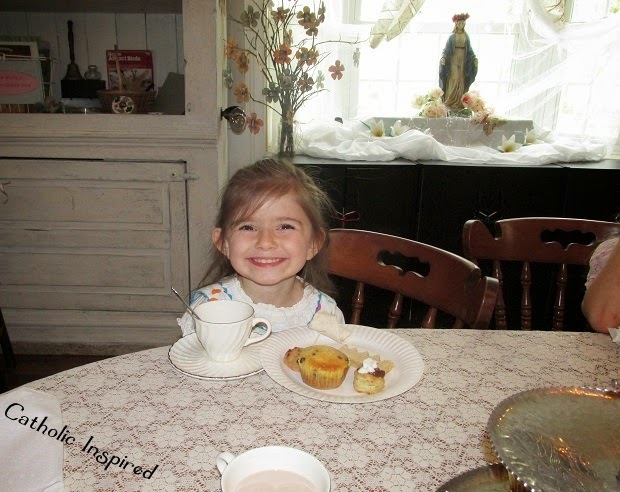 I love a good tea party. 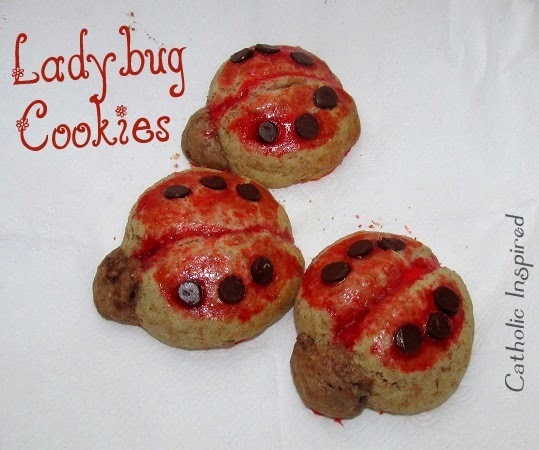 The lady bug cookies are awesome. 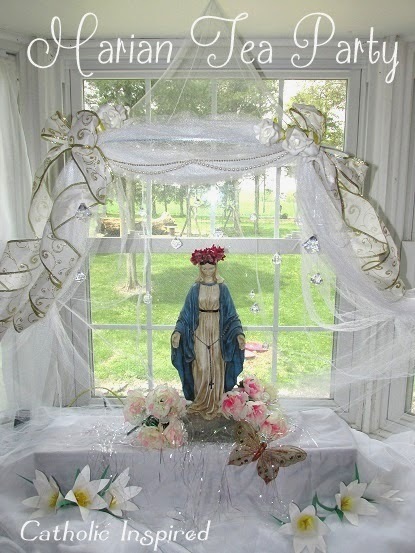 What a lovely way to honor our blessed Mother! Thank you, Esther. Thanks for stopping by! I also have endo and it's a roller coaster to live with a condition that nobody seems to understand the cause and to try and find solutions to said problem is even tougher hang in there! Hi Alexis, Thanks for your support! Endo sure is a roller coaster, I've been trying to offer each bad day as a sacrifice, but some days things get too difficult for me to handle. Playing for you and your health -- God Bless. You've been such an inspiration to our family over the years. We'll be praying for your health as well. May Our Mother hold you close in her mantle of protection! It's been a little while since we chatted! :) I hope you and the family are well! Thank you for the prayers! They are always appreciated! I will be praying for you and your family as well.